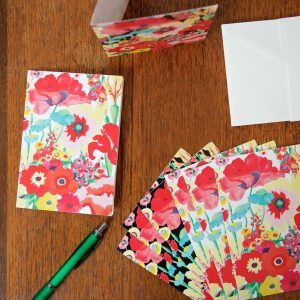 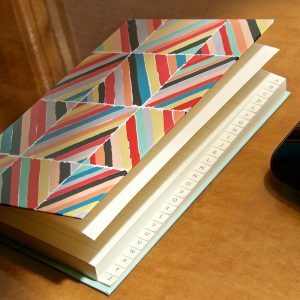 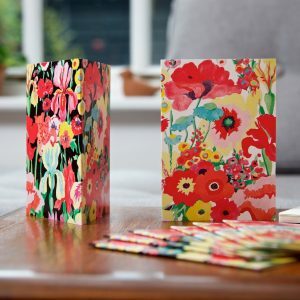 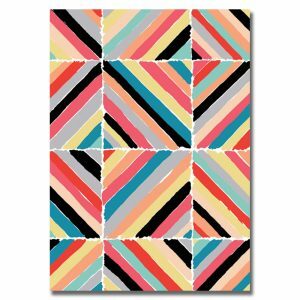 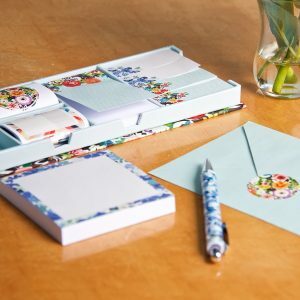 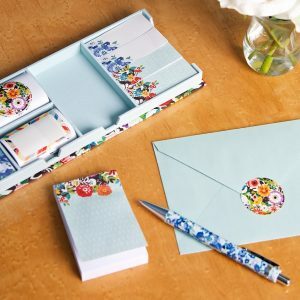 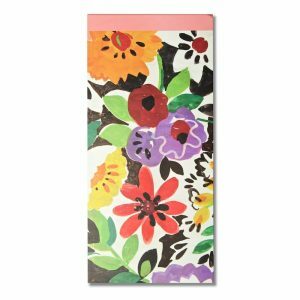 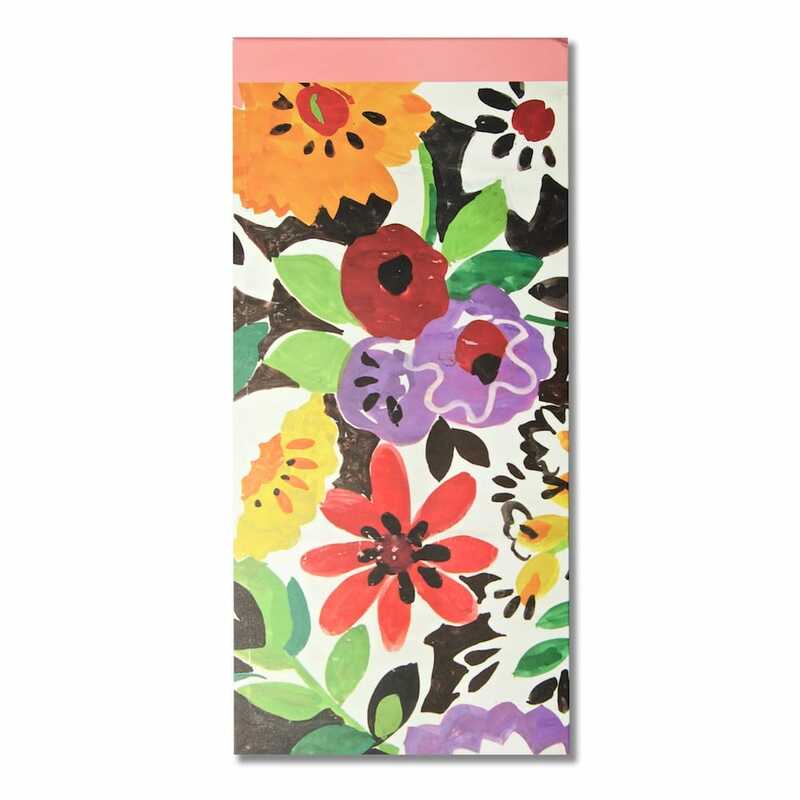 A notepad with a lightly laminated card cover in a delightful floral design with co-ordinating geometric reverse and pencil. 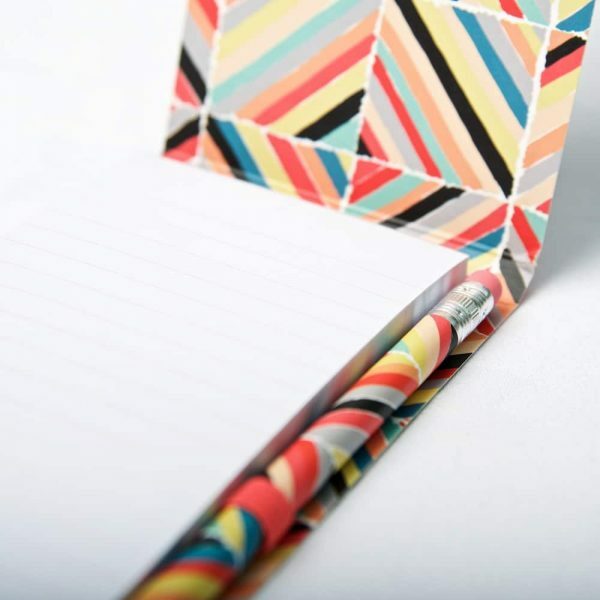 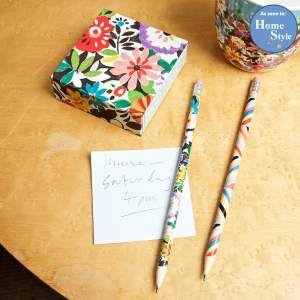 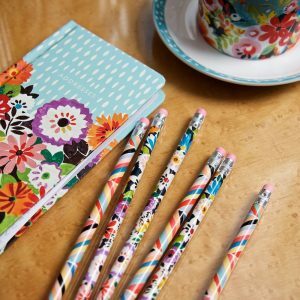 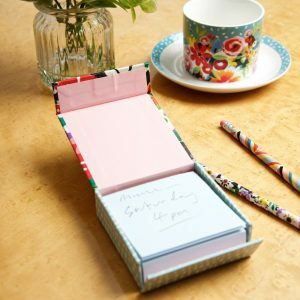 Stay organised with this lined note pad and co-ordinating pencil which tucks neatly into an elasticated loop on the side. 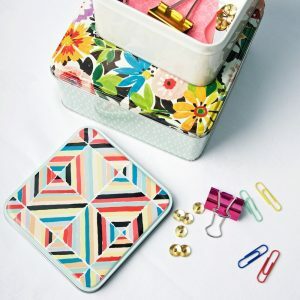 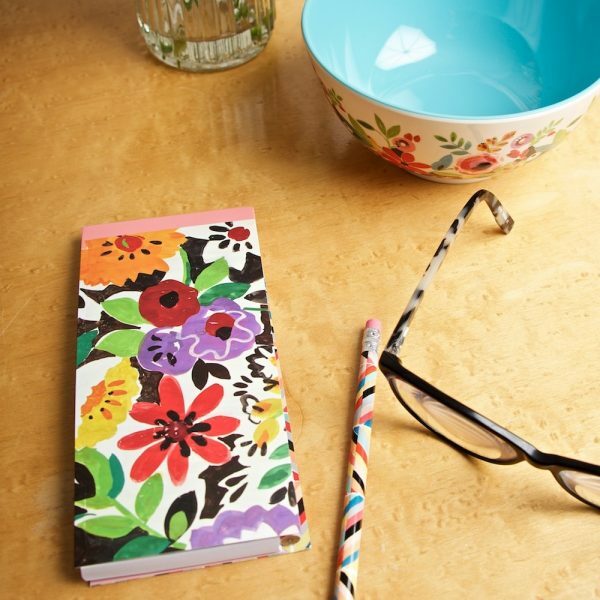 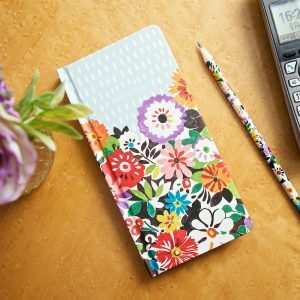 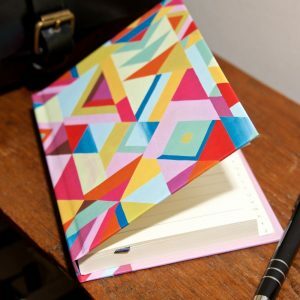 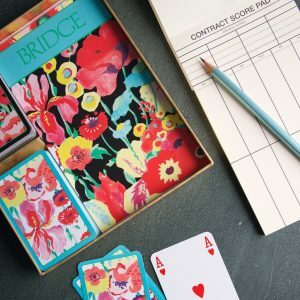 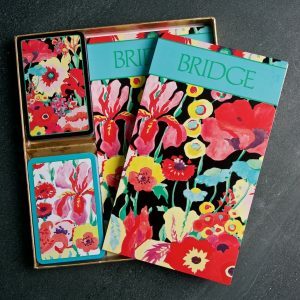 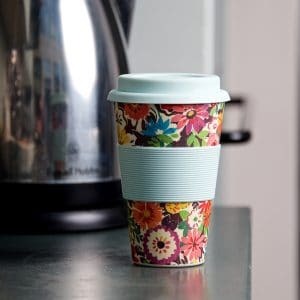 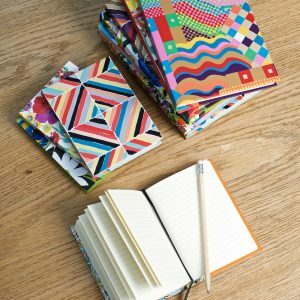 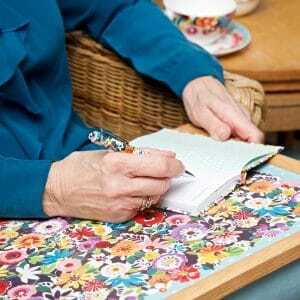 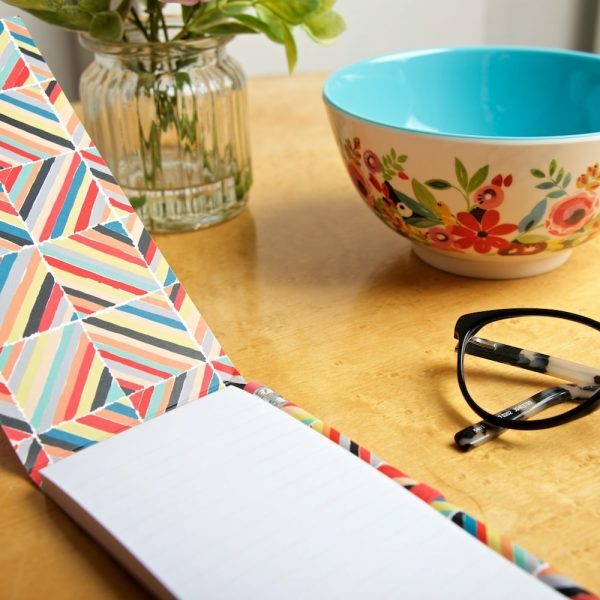 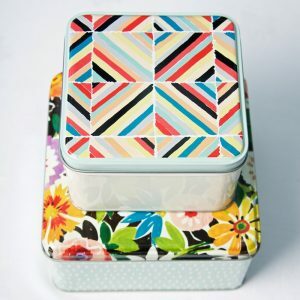 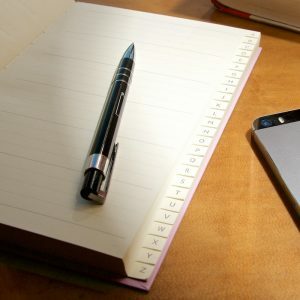 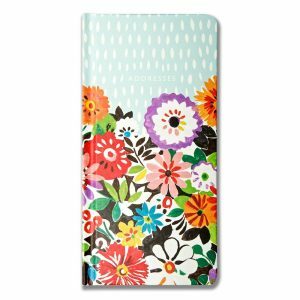 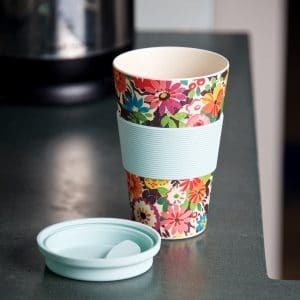 Perfect for shopping lists, gardening notes, to-do lists and so much more. 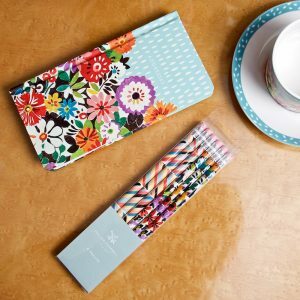 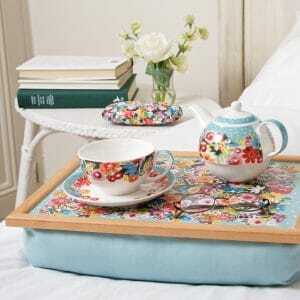 Keep it by the telephone, in the kitchen or slip it into your handbag.